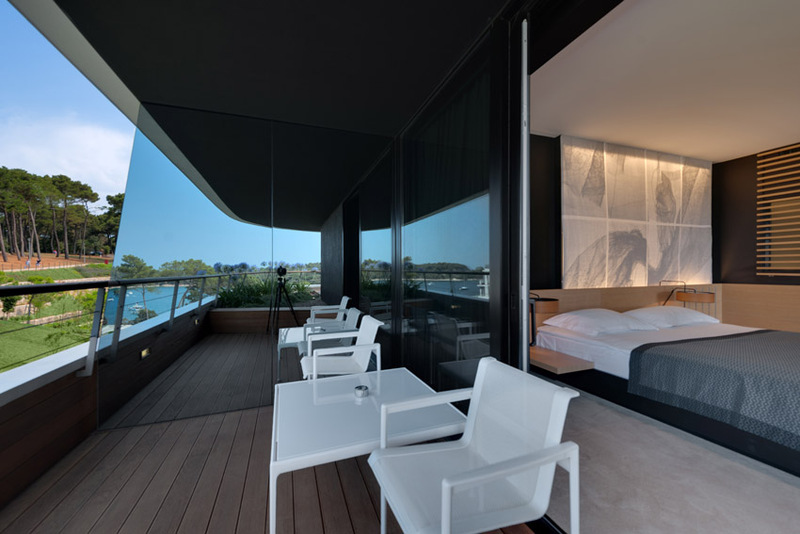 As an embodiment of urban style, Maistra’s 5 star design hotel Lone features 236 well-appointed rooms and 12 luxury suites in Rovinj, Croatia. Entrance to the Wellness & Spa Zone is included in the price of accommodation, and includes the usage of the following facilities: underwater rooms, Finnish and aromatherapy saunas, special showers, crushed ice, relax zone, fitness. 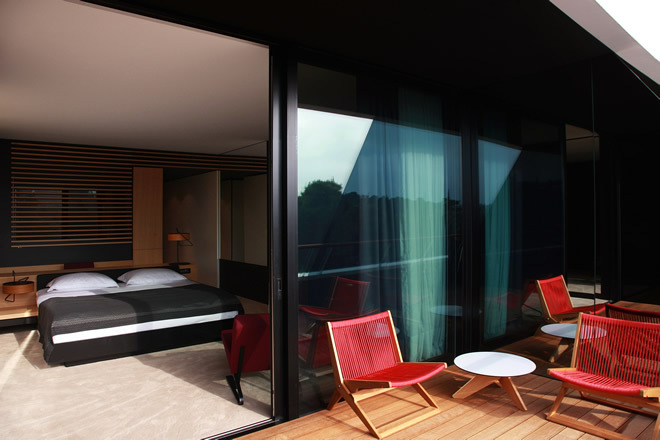 Premium rooms have an area of 33 m2. Contemporarily designed and with a beautiful view of the protected Zlatni rt forest or the parks surrounding the hotel, these rooms will secure a truly superior stay at hotel Lone. They are furnished with a king-size bed or twin beds. Five rooms are fully adapted to people with disabilities. Bottle (0.75 l) of natural spring water and a voucher per person for a chocolate bar from Lobby Bar once during your stay. Entrance in the Wellness & Spa zone, parking and WiFi Internet are included in the price. The package includes a tour of the winery accompanied by the host, with a short story about the wine, technology and history of the family winery and tasting of three types of wine (of choice) with an expert guide in the tasting room, with delicious home-made snacks (with prior booking; transport in own arrangement). The package includes a tour of the olive orchard given by the host, an expert-guided tasting of our extra-virgin olive oil in the olive oil tastery, with a short presentation on olive cultivation in Istria and the Vodnjan region (with prior booking; transport in own arrangement). Grand rooms have an area of 37 m2 and provide ideal accommodation for long stays. 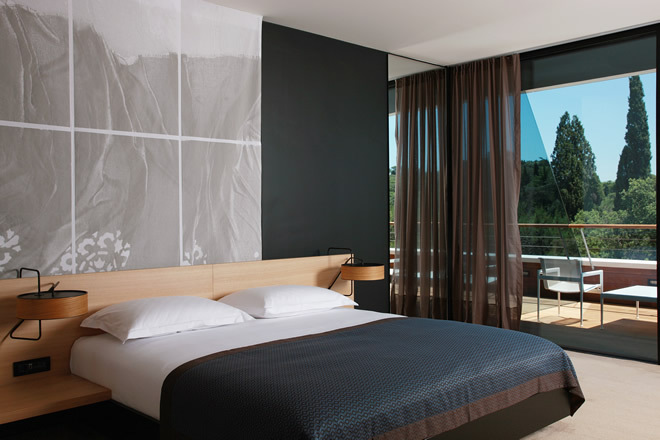 The rooms feature balconies overlooking the protected Zlatni rt forest park and are furnished with a king-size bed. Third person can be accommodated on additional single bed. Bottle (0.75 l) of natural spring water each day and voucher per person for a chocolate bar from Lobby Bar once during your stay. The luxurious Deluxe Lone suite, 129 m2 in size, is the biggest suite on the top floor of the hotel and overlooks the sea, the Lone bay and the forest park. 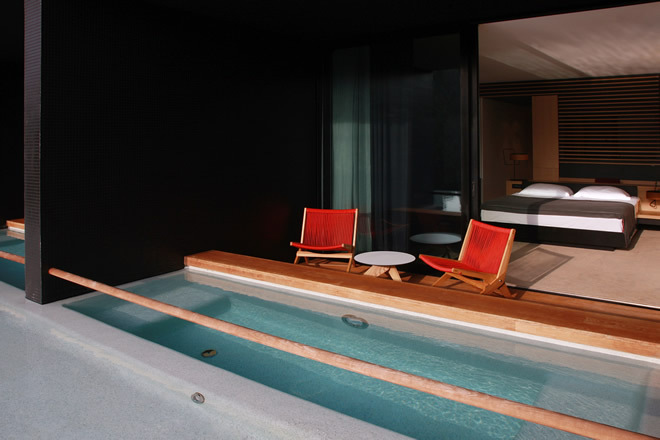 The suite features a large terrace with an outdoor massage tub, lounge and sunbathing area. It consists of two bedrooms with individual bathrooms, an additional lavatory, dining room and living room. 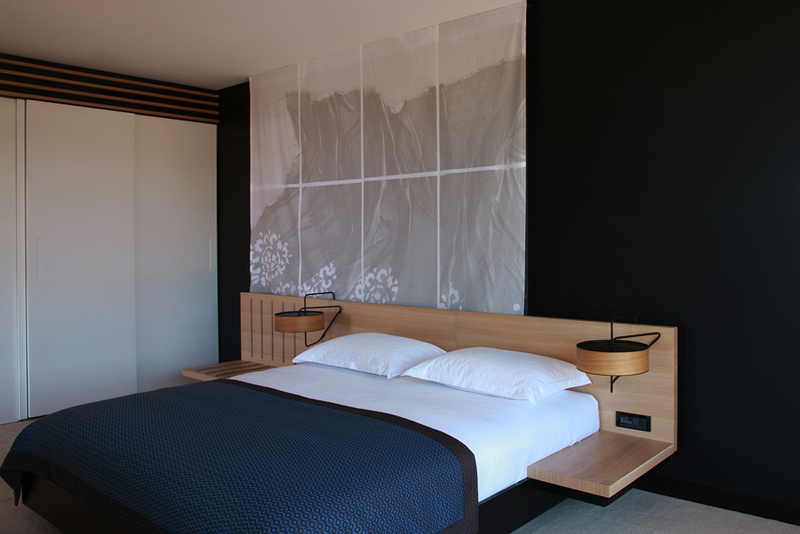 The bedrooms are equipped with king-size double beds. Two bottles (0.75 l) of natural spring water each day, electric kettle with a daily supply of tea, Illy espresso machine refilled daily, the Lone “Sweet Surprise”, a VIP gift courtesy of the hotel, free garage parking and daily afternoon housekeeping. Classic rooms have an area of 33 m2. Contemporarily designed and with a view over the parking. They are furnished with a queen size double bed, ideal for accommodating couples. Deluxe Plunge Pool rooms have an area of 37 m2 and feature a private Infinity Pool massage bathtub, while the view from the balcony extends to the protected Zlatni rt forest park. 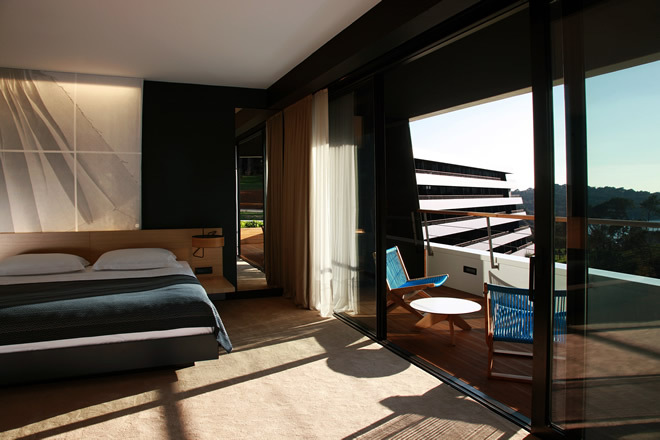 The rooms are furnished with a king-size bed. 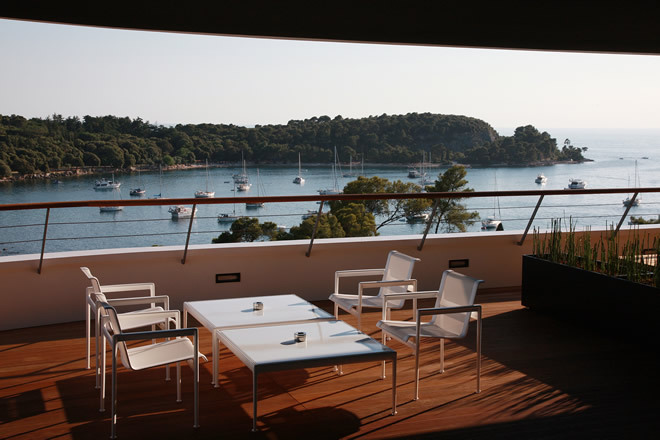 Gallery suites are 52-57 m2 in size and have large balconies with partial views of the sea and Lone Bay. The suites have a living room, one bedroom with a king-size bed, a bathroom and an extra toilet. Two bottles (0.75 l) of natural spring water each day, Illy espresso machine refilled daily, the Lone “Sweet Surprise”, free garage parking and daily afternoon housekeeping. The Bay suites are spacious and bright, ranging from 65 to 72 m2 in size, and have large balconies offering views of the sea and Lone Bay. Each suite comprises a bedroom with a king-size bed, a separate living room that can accommodate an extra single bed, a bathroom and an extra toilet.